endorsing former UK Prime Minister Tony Blair to become EU President. In a move that will be fiercely opposed in Europe, current UK Government ministers are lobbying behind the scenes on Blair's behalf. The problems with a potential Tony Blair presidential appointment are many and varied. Firstly, the former Blair Government is under investigation in relation to its involvement in the illegal invasion of Iraq and the subsequent human rights abuses in that country. Blair, together with former Australian PM, John Howard and George Bush concocted evidence against Iraq, which eventually led to the Iraq war. 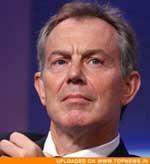 Blair also knew about American human right abuses taking place in various places around the world and participated in the endorsement of war crimes, human rights abuses and breaches of various UN Laws of War, Geneva Convention provisions and other international law considerations, guidelines and provisions. This being the case, a Blair appointment as EU president would be highly embarrassing to the EU and UK, the endorsement of this grubby little man appears to be mainly designed to get him off the hook in terms of and via any potential diplomatic immunity of an EU President. As a UN appointed Middle East negotiator, Blair achieved nothing and his appointment to the UN has been viewed widely throughout Europe and the Middle East as a farce. Since the potential appointment of Blair has been muted, numerous EU staff and indeed countries have made it known that they will not work with Blair as EU President and in overall terms the EU can simply not afford Blair as its President when there are much better qualified people around who can do a much better job. I think the UK Government should bury this idea and quickly. Very quickly.